Prof. Eng.-Math. 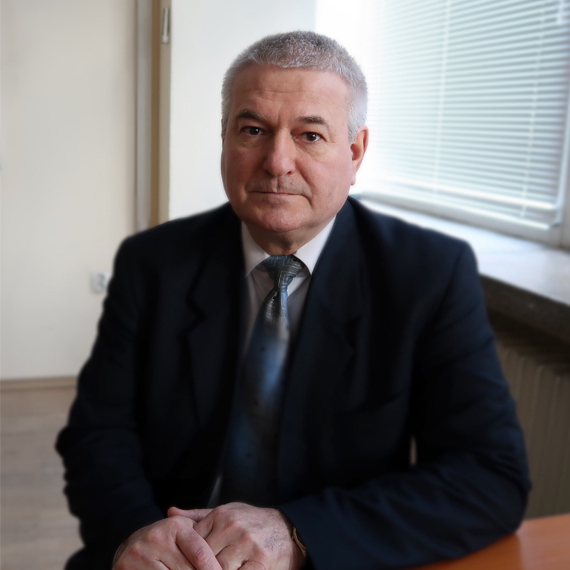 Radi Petrov Romansky, D.Sc. Fields of Scientific Interests: Over 200 scientific publications and over 20 monographies, books and manuals in the fields of: Information and Network Technologies; Computer Modelling; Computer Architectures and Systems; Data Protection and Information Security; Investigation, Analysis and Evaluation of Computer Processes and Information Processing. Membership in International Scientific Organizations: Full Member of the European Network of Excellence on High Performance and Embedded Architectures and Compilation – HiPEAC (since 2011); Member of Advisory Board of “The Swiss Innovation Lab”, Swiss Innovation Valley (since 2018). Membership in National Organizations: Member of Management Council of Union of Electronics, Electrical Engineering and Communication (since 1998); Member of Consultative Council of “Centre for Research and Analysis” (since 2013); Member of Management Council of “Centre for Peace Research and Security Policy“ (2009-2011); Union of Scientists in Bulgaria (since 1990); Union of Automatics and Informatics (since 1993). Member of International Editorial Board of 8 scientific journals in Bulgaria (3), USA (2), Slovakia, India, Germany. Grants: Honorary Diploma in reason 50 years of journal “E+E (2015); Honorary Diploma for active part in the CEEC and in reason 50 years anniversary (2015); Gold Badge of Federation of Scientific-Technical Unions for great contributions for the progress and success of CEEC (2014); Honorary Diploma for title “Honorary Member” from Union of Electronics, Electrical Engineering and Communication (СЕЕС) at Federation of Scientific-Technical Unions for great contributions for the progress and success of CEEC (2013); Honorary Diploma from Technical University of Sofia for active work and for 10th Anniversary of “TU-Sofia-Technology” (2011); Honorary Diploma from Federation of Science-Technical Unions in Bulgaria for active work and for 125th Anniversary (2010); Honorary Diploma for exceptional contribution to the area of personal data protection in Republic of Bulgaria (2008); 2 Honorary Diplomas of Academic Community on Computer Systems and IT for active work at the organization of the 20th Int’l Conf. “SAER-2006” (2006) and the organization of the Int’l Conf. “CompSysTech’03” (2003).